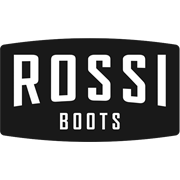 The Rossi Trade is a wide, deep fitting workboot with a safety toe cap for ultimate foot protection. Featuring a TPU/ PU cushioned sole that is slip, oil, acid and heat resistant to 140 degrees. 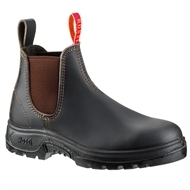 A comfortable footbed and ladder grips means this work boot offers maximum grip and is certified to Australian standards for safety footwear. This boot is lightweight and flexible and offers deep comfort plus side impact protection.